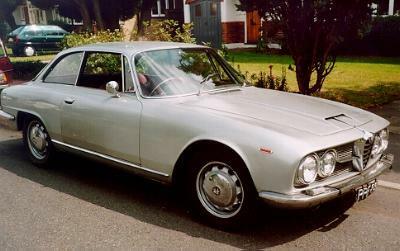 The Alfa Romeo 2600 range was introduced at the 1962 Geneva show with Berlina, Spider and Sprint versions. The suspension and drive train were basically those of the superseded 2000 range. 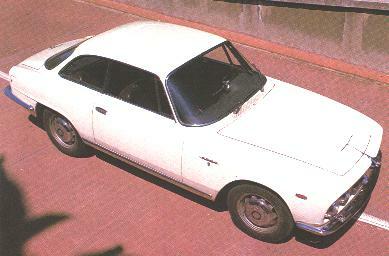 Two other special-bodied 2600 were also produced, a De Luxe Berlina designed and built by OSI and the 2600 Zagato. The 2584 cc 6-cylinder engine was a classic Alfa design with cast iron liners in an aluminum block and the head featured twin over head cam shafts, and was of cross flow design with hemispherical combustion chambers. The bore was 83mm and the stroke 79·6mm. Although fitted with three Solex 44 PHH carburetors as standard, triple Webers were available as an option. In the Berlina the motor produced 130 hp and the compression ratio was increased from 8·5:1 to 9:1 for the other version, producing 145 hp. The motor was coupled to a five speed Porsche-type synchromesh gearbox and all cars except the Alfa produced Berlina, used a floor mounted gear shift. The Berlina had a column mounted shift. Front suspension consisted of double A-arms with coil springs, sway bar and king pins. The rear suspension was a solid axle with longitudinal radius arms, a triangular lateral locator and coil springs. The wheels were an odd metric size, 400mm rim, approximately 15¾ inches in diameter, with 165 by 400 tyres. The early 2600's had Girling power assisted disk brakes at the front and turbo-finned drums on the rear. Later cars were fitted with "three spot" Girling disks all round and the rear rotor had a small brake drum for the hand brake in the centre. The Sprint weighted 1280Kgm, and the Spider 1220Kgm and the performance was near identically, with a maximum speed of 200 km/h. The Berlina weighed 1380Kgm and with its lower horse power and larger body had a maximum speed of about 180 Km/h. 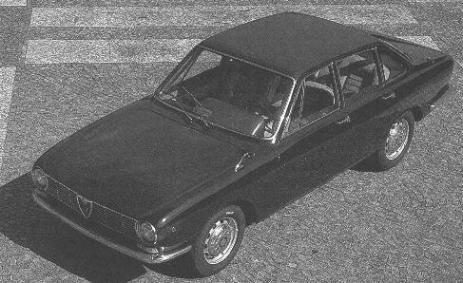 The Berlina was designed and built by Alfa Romeo in-house but the other versions were designed and produced by third parties. Between 1962 and 1968 2,092 Berlina's were produced. The Sprint was a genuine Luxury Grande Tourer. It was trimmed in cloth or leather, and provided a large boot (trunk) and lots of advanced detailing. Such standard equipment as electric front windows, two-speed wipers, a separate blower fan to demist the rear screen and marker lights in the trailing edges of the doors. Not many cars of the era were so well equipped. 6999 Sprints were produced between 1962 and 1966 and although designed by Bertone, it was built by OSI. The Spider was designed and built by Touring and looked much like the old 2000 Spider with simplified bright work and was bodied in steel, with no sign of Touring's trademark Superleggera construction. Only 2255 Spiders were produced between 1962 and 1965 and many of these were sold in the USA. The Spider was designated a 2+2 but in practice the rear seats were only a parcel shelf. The Zagato-bodied SZ was produced between 1965-1967 and only 105 were made. Although being made of steel rather than aluminum, at 1143Kgm it was about 140Kgm lighter than the Sprint. The De luxe Berlina by OSI was far more attractive than the Alfa designed and built Berlina but only 54 of these were produced. The handling of all versions of the 2600 was typical of the era at low speeds, being ponderous with heavy steering and a marked tendency to over steer. At high speed the 2600's became great tourers providing effortless cruising and good high speed stability. The big Berlina provided quiet safe and spacious transport for four people and lots of luggage, at high speeds.